What is the purpose of the industry stool? This heavy-duty industry stool can take whatever you throw at it! Sculpted seat is fashioned from tough polyurethane. The seat shape maximizes user comfort, allowing long work shifts and frequent changes of position without pain or fatigue. The polyurethane cover can easily be washed or wiped clean with a wet cloth. The black colour complements most shop and industrial settings and will conceal dirt and grease. The steel frame and base will give years of service. 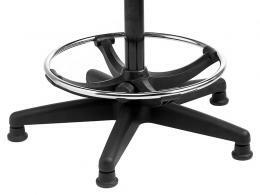 There is a chromed metal footrest at ankle height for added comfort. The broad-stance base maximizes stability during both stationary sitting and sliding. The glide base allows minimal friction movement across the floor with some measure of motion-stability. Height adjustment is at the side and allows changes while seated. 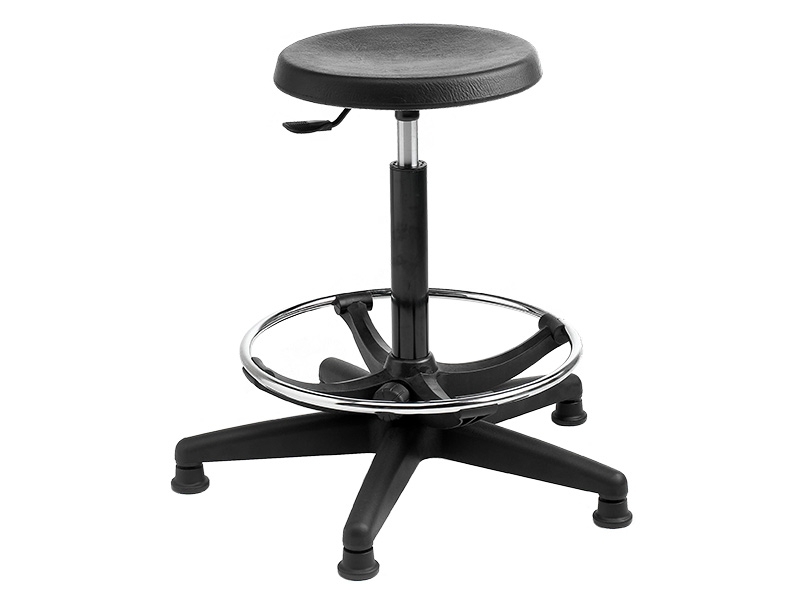 The industry stool can be used in all heavy-duty commercial and manufacturing settings as well as healthcare and academic locations. 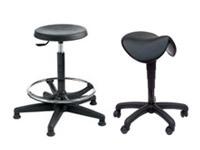 The industry stool is also useful in chemistry and biology research labs. 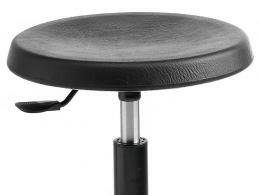 Easy height adjustment makes use of the industry stool with microscopes and other head-height equipment a natural use. Auto mechanics, auto body shop workers, estimators and insurance adjustors, healthcare workers, shop instructors, military service members and lab researchers all can use this heavy-duty stool. This chair is proudly made in Britain – keeping jobs at home.